There are three parties to a successful apprenticeship – the apprentice (you), your employer and your industry training organisation (Careerforce). Each has unique responsibilities. Your responsibilities as the apprentice are to work and learn. Our responsibilities as the industry training organisation are to facilitate the training, and support both the apprentice and the employer throughout the apprenticeship. This includes providing you with an Apprenticeship Advisor to provide pastoral care and support. Your employer’s responsibilities include supporting you to successfully complete your apprenticeship and provide training at work. There is information and documentation that you’ll need from your employer to guide you through so you can successfully complete your assessments. Here are some of the things that are best to come from your manager/supervisor/team leader. Each workplace has unique policies and procedures that staff need to follow. Your own policies and procedures ensure that there is consistency of treatment for all employees and a common understanding of required conduct and responsibilities. There are assessments that you will need to complete as part of your apprenticeship where you’ll be required to explain how you managed certain situations according to your own workplace policies and procedures. If you don’t have a copy yet of your workplace policies and procedures, please request this from your employer. Your manager/supervisor/team leader will be aware of the model of practice that you follow in your organisation. You may have more than one model. A model itself forms a framework for how things are done, how support is provided and what needs to be taken into account when supporting people. Strengths based: Often found in mental health and youth work but used by many others. This is supporting people to utilise their strengths rather than focus on deficits in a person’s abilities. Te Whare Tapa Whā: Possibly the most often used across a wide range of services. Found in mental health, youth work, disability, some aged care and a variety of other types of service provision. It is a holistic model that allows the person/team to identify areas of health and wellbeing beyond just the physical. It takes into account a person’s spiritual, cultural, mental/emotional, whānau/friends/networks and physical needs. Te Whare Tapa Whā recognises the interconnectedness of all these elements and how they relate to each other. It was developed by Sir Mason Durie and is a Māori model of health but can be applied to all people. 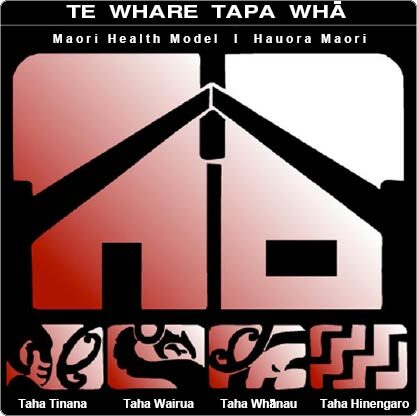 Based on the four walls of a whare, the names are Taha Tinana (physical health), Taha Wairua (spiritual health), Taha Whānau (family health), Taha Hinengaro (mental health). Restorative Care: Often found in hospitals and aged care facilities. Restorative Care focuses on maintaining and if possible, growing a person’s independence. This is achieved by allowing people to do all the things they can for themselves and the support staff intervene only when a person is unable to do something for themselves. An example of that could be a person needing support to get up from a chair but is able to independently walk to their room. This model is also found in a variety of other providers, for example disability, but they don’t tend to use the name Restorative Care. As part of your assessment for It’s About People, you will be asked to describe the models of practice you have and how you apply it in your role to support your clients or service users. A Mission Statement defines your organisation’s business, its objectives and its approach to reach those objectives. A Vision Statement describes the desired future position of the organisation. Elements of Mission and Vision Statements are often combined to provide a statement of the company’s purposes, goals and values. Do you know why your organisation exists? Do you know what your organisation is hoping to achieve and why? How does your role contribute to achieving the mission and vision? These are some of the vision/mission questions that are best asked of your employer. You’ll be asked to identify these and explain how your role fits into the wider organisation’s picture. In your assessments, it is expected that you always provide your answers within the context of your role. This how you learn and ensure that you are working within your role’s boundaries. This is also how you show your assessor that you have the understanding of the different concepts and their applications. If you’re struggling to answer questions in the context of your role, it may be helpful to discuss this with your employer. Sometimes it’s good to get a fresh perspective and to also get an understanding from them on how your role fits into the organisation’s big picture. If you’ve been in the role for a while, we’re certain that you will have heaps of evidence to confirm your competency. This evidence will be filed somewhere within the organisation. Have a chat with your supervisor, manager or even HR if you think you already have documentation to support your assessments or observations. For example: For the modules It’s about relationships and Be awesome, you’ll be able to use past performance reviews as evidence of competency that you exhibit teamwork or that you’re able to follow policies and procedures properly. Other examples of evidence that you may want to start gathering are: accident/incident reports you may have filed, meeting minutes, care plans, and activity plans.